Eating too many carbohydrates adds to your waistline. When you eat too many carbohydrates, the calories your body does not need are converted to triglycerides and transported to your fat cells for storage. Carbohydrates also stimulate insulin, which works in the body to store fat. Protein does the opposite. Protein stimulates glucagon, which mobilizes fat from storage. “Choosing lean proteins, the right fats and carbs that are low on the glycemic index can help you trim your tummy,” – Ann Louise Gittleman, Ph.D. The Dietary Guidelines for Americans recommends that carbohydrates make up 45 to 65 percent of your total daily calories. So, if you get 2,000 calories a day, that translates to between 225 and 325 grams of carbohydrates a day. Most low-carb diets limit carbohydrate intake to between 50 to 100 grams per day, depending on the diet. When eating less than 50 grams per day, your body will get into ketosis, supplying energy for the brain via so-called ketone bodies. This is likely to kill your appetite and cause you to lose weight automatically. 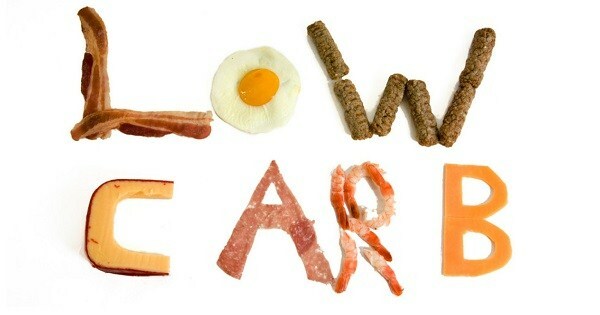 Low-carb diets greatly reduce your blood levels of insulin, a hormone that brings the glucose (from carbs) into cells. One of the functions of insulin is to store fat. Many experts believe that the reason low-carb diets work so well, is that they reduce your levels of this hormone. Another thing that insulin does is to tell the kidneys to store sodium. This is the reason high-carb diets can cause excess water retention. When you cut carbs, you reduce insulin and your kidneys start shedding excess water (9, 10). It is common for people to lose a lot of water weight in the first few days on a low-carb diet, up to 5-10 pounds. Weight loss will slow down after the first week, but this time the fat will be coming from your fat stores. One study compared low-carb and low-fat diets and used DEXA scanners (very accurate) to measure body composition. The low-carb dieters lost significant amounts of body fat and gained muscle at the same time (11). 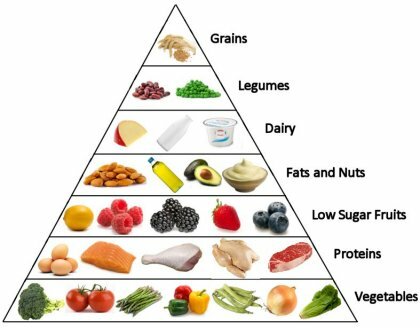 Studies also show that low-carb diets are particularly effective at reducing the fat in your abdominal cavity (belly fat), which is the most dangerous fat of all and strongly associated with many diseases (12). Starting a meal plan can be difficult if you are not sure what foods to avoid or include in your diet. t’s possible to eat great, amazing food until you are satisfied… and still lose weight. Here are some examples of what to include and what to avoid on your next shopping trip to the grocery store. Meat: Any type: Beef, pork, lamb, game, poultry, etc. Feel free to eat the fat on the meat as well as the skin on the chicken. If possible try to choose organic or grass-fed lean meats. Sugar: The worst. Soft drinks, candy, juice, sports drinks, chocolate, cakes, buns, pastries, ice cream, breakfast cereals. Starch: Bread, pasta, rice, potatoes, French fries, potato chips, porridge, muesli and so on. Wholegrain products are just less bad. Legumes, such as beans and lentils, are high in carbs. Beer: Liquid bread. Full of rapidly absorbed carbs.